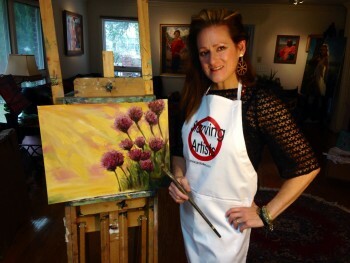 People, ages 10-105, who have never painted in their lives are creating wonderful paintings they would be proud to give as gifts or hang on their own walls. 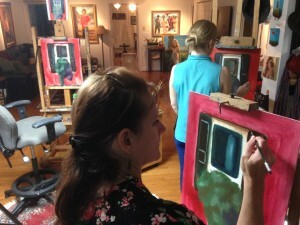 Those who have attended other painting parties are raving about their experience with the Maniscalcos. Robert asked the question: “What if we painted something simple yet interesting so participants could go away with something they can be proud of AND maybe learn a little something about painting while having a great time?” Robert has always believed art can be available to anyone. That’s why he invented The Power of Positive Painting thirty years ago, which breaks down the complex process of painting and drawing into very simple terms and has led to thousands of people becoming proficient in painting over the years. These paintings are the result of recent “Brush with Art” event at Robert’s Studio or at your home business. 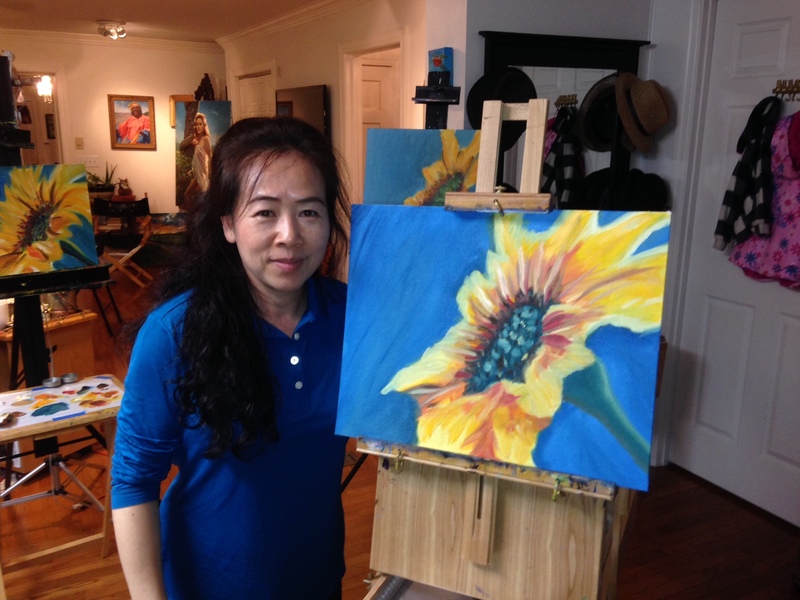 With small numbers, expert guidance from a master painter and lots of individual attention, everyone is guaranteed to have lots of fun and success. 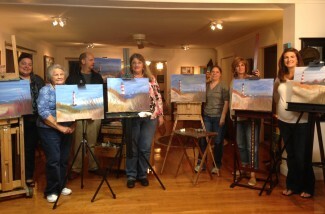 We offer group painting parties to the general public. 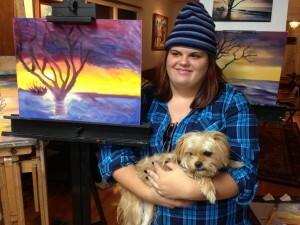 We all paint the same image in a couple hours, enjoying some relaxing, guided, creative fun. No fuss, no muss. Everything is provided. You bring the wine and any treats to eat. We’ve set up everything you need to make a great painting. Talk about a memorable, creative experience. This is it. 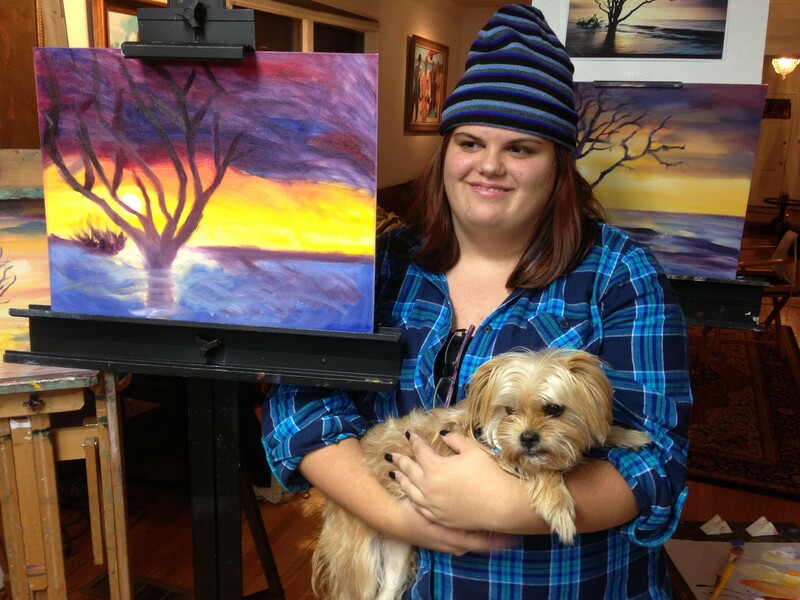 Painting Parties are an excellent Team Building and Friend Bonding activity. Robert can tailor the festivities to a particular theme, choosing significant subject matter (like say, the lowcountry), and incorporating positive motivational themes, connecting the creative process to the adventure we call life. Robert is always motivating and encouraging. That’s just his thing. We are now offering group of six packages, so you can get some of your best friends together for some fun and creativity. If you would like to join a class as an individual, contact me and I will squeeze you in. Remember, we can also come to you, if preferred. Amazon local is currently running a half off special for a party of six. Wow, what a great Christmas present that would be for yourself and five others. you mean fare, not fair. just edited the post and the page on my site. Nothing to it. Betty Altom Fuglestad liked this on Facebook.